Cincinnati’s Jewish young adults, ages 22-26, are invited to join a free, once-in-a-lifetime trip to Israel this winter, Dec. 23-Jan. 4. Thanks to The Jewish Foundation of Cincinnati and Taglit-Birthright Israel, the trip will be 100% paid for, including travel to, from, and within Israel; housing; and two meals a day. As on most trips to Israel, travelers will visit major sites such as Jerusalem, Masada, Tzfat, the Dead Sea, Jaffa, and the Golan, and will enjoy a feast at a Bedouin tent, a night out in Tel Aviv, and shopping at a local artist colony, among many other experiences. The Cincinnati community trip offers more than that, though, because its participants will create these memories with their peers, forming the foundation for lifelong friendships. The Jewish Federation and the Mayerson JCC, who are partnering to administer the trip, will hold a meeting for participants to prepare for the trip and get to know each other. In addition, the travelers will work together during the trip to define a plan for engaging with Jewish Cincinnati, possibly including leadership development, educational opportunities, and social action projects with local agencies. In addition, unique to this trip, participants will travel with Israelis from Cincinnati’s partner city, Netanya. Thanks to the Jewish Foundation’s funding, they will benefit from the Israelis’ insights for all 10 days of the tour. Cincinnatians will develop connections with Israelis, and, on a larger scale, Cincinnati will develop connections with Israel. 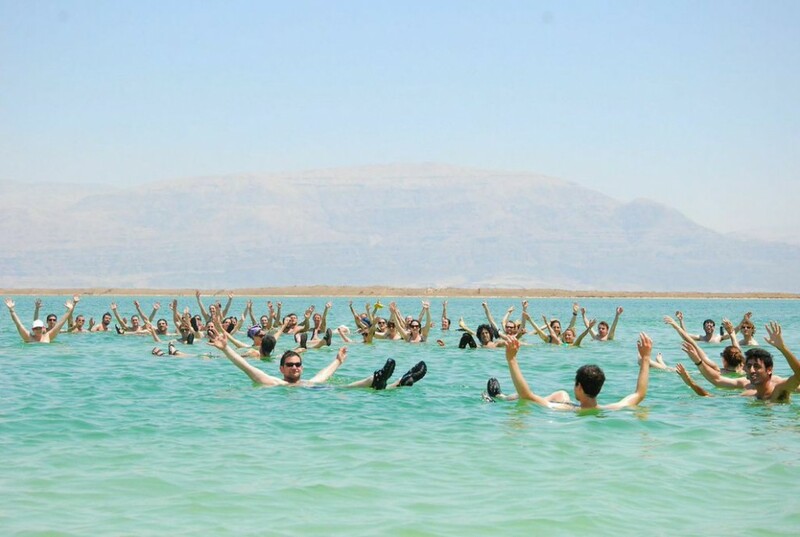 The trip provider, Israel Outdoors, features experiential learning and avoids traditional seminar-style education. They allow travelers to get off the tour bus and see Israel’s natural landscapes with their own eyes, from the canyons of the Judean desert, to the green hills of the Galilee, to the beaches of the Mediterranean coast, and the wildlife that lives between them. This trip is a gift from Taglit-Birthright Israel, co-funded by The Jewish Foundation of Cincinnati, and administered by the Jewish Federation of Cincinnati and the Mayerson JCC. Learn more by contacting Sammy Kanter at skanter@jfedcin.org or 513-985-1586. Taglit-Birthright Israel is an innovative partnership between the people of Israel through the Government of Israel, private philanthropists, and thousands of donors and Jewish communities around the world (North American Jewish Federations through the Jewish Federations of North America; the Jewish Agency for Israel; and Keren Hayesod).